We would like to thank you very much for your help. The default listing has been removed. We understand that you continued to persuade our creditor and have done lots of hard work. The creditor has finally agreed to remove the listing off the file. We now feel relieved of the pressure and we are grateful. Once again, we greatly appreciate the assistance you have provided. "While the business was growing we racked up quite a bit of supplier debt. This was putting a squeeze on cash flow and despite being profitable we could not make ends meet. Numerous time we tried without sucess to get a consolidation loan. After having no luck with brokers and the bank due to an unpaid bill we got our credit history cleaned and have just been approved for a loan without any hassles and no akward questions"
Hi Amanda here is a quick testimonial for your use. "I have to be honest and say that i was sceptical when I first found out about MYCRA and their ability to have defaults removed from my credit file. I have suffered for 3 years unable to get credit cards, having to use well overpriced financial institutions to get a car loan and even in some cases being denied a mobile phone contract. I though I just had to accept it even though i really believed I wasnt totally at fault for the listings being their, however I figured I had nothing to lose because it couldnt get any worse." "I Paid my fee and within 2 weeks i had 2 defaults completely removed like they never existed!! when i got the phone call saying the default was gone it was like a weight got lifted off my shoulders infact i ordered a copy of my credit file that day to confirm what i was hearing was true! I am now able to go for the homeloan i have always wanted knowing my credit rating isnt an issue. I cant thank MYCRA enough it sounds silly but i feel like i got my life back!" My testimonial below. Hope its ok. I was shocked when our loan was declined and I was told it was due to a default listing on my credit report, but very relieved when I was directed to the My CRA website. I immediately applied online to have my credit default cleared and received immediate prompt responses at all times to my queries. My CRA were absolute saviours and did everything they said they would do in the timeframe indicated on the website. They were helpful and understanding and managed to clear the default listing from my credit report to bring a successful conclusion to our refinancing process. I wouldn't hesitate to recommend them to anyone who needs assistance with clearing their credit reports - do it now don't have a default hanging over you if you don't have to! 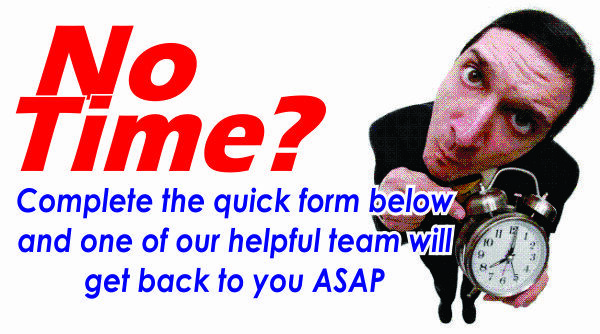 "I would sincerely like to express my thanks for all your work on clearing up my credit file. I thought I would have to wait another 5 years to get a home-loan, but in the end it was all cleared up quite quickly. I cannot express how impressed I am at the speed of your service, especially in this day and age where paperwork tends to get lost and put to one side. 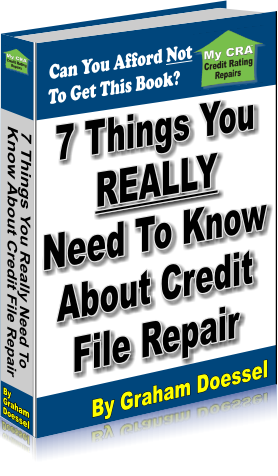 I can now move forward with my life knowing my credit file will not hold me back!" "I wanted to thank you for your help with that Judgment that was listed on my credit file. It was there due to one of those disputes that unfortunately ended that way. Now that you have had it removed I had that home loan that I have been trying to get for the last 6 months approved - thanks!" Decline After Decline.. A thing Of The Past..
"My Veda file had a default listing which meant I couldn't get finance from anyone. It was a hopeless situation in this financial climate as credit providers were not even considering me for a loan. I found out about what you do with removing defaults and judgments and could not believe it could be done. I decided to give it a go as I had nowhere else to turn. I was sick of making excuses to brokers about my default listing. I told you my story and answered some questions and after a short time the default listing was entirely removed from my file. Thanks so much - you don't know how much you have helped. I now have a loan for the first time in years!" To the Wonderful team at MYCRA. 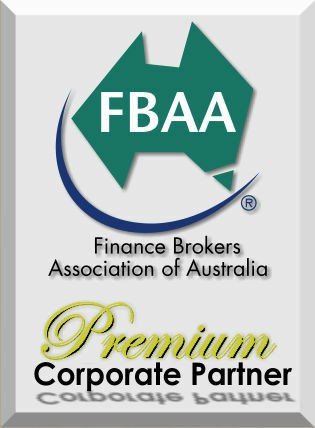 I'm a finance broker from Perth and attempted to refinance my client's two properties into a lower interest rate. Our own office did a Veda Advantage report to find an Optus (m8) $2500 default from 4 years ago. The client had no knowledge of this default. He believes a past staff member may have run it up without his knowledge. I contacted the Optus (M8) (with my clients permission), direct and spoke to a lady who said she handles all defaults within the M8 network. M8, having reviewed the file in depth told me quite frankly, "Mr. Frankland, there is no way this default could be removed. You are wasting your time. Your client will need to wait out the five year period before this default can be removed". I then told my client and I filed away his application for another year or so. In the meantime I had made an internet inquiry to MyCra in response to email marketing I had received. Just to check MyCra out. MyCra would have in excess of 90% chance of success to have that default removed. Naturally, I'm thinking.....Yeah right !! However, over a few more calls to me, he seemed so keen to take it on. I reapproached my client and we agreed to go ahead with MyCra. To our astonishment, the default was removed within 10 days. INCREDIBLE. What's even more incredible is that my client will save over $16,000 in interest over the next year, multiply that each year and you can easily see how much MyCra has saved my client. Please contact me at anytime for a testimonial. You guys are my new 'Tina Turner'. Simple the Best. "These guys can help us brokers when we come up against at least weekly a credit impaired prospect. I have just had such a case when one of my clients went to Citibank and found he had a $3,537.00 paid default on his CRAA which was also a court judgment from 2006 and of course declined. This amount was paid 30 days later but was still there. He is a Lo Doc customer, but we know what some Financial Institutions are like with this debt amount. They started the repair for this deal and the impairment was removed by Veda exactly 24 days later. I have now placed this loan of $975,000 to purchase with another institution instead of waiting till it dropped the CRAA as no bank was going to let him borrow with that amount of paid debt. I'm sure other brokers can use this guy's service at least once a month"
Having only used MyCra once, I am pleased to advise that the service has given my client the capacity to borrow funds to capitalise on a business expansion opportunity. Without the Service my client would spend considerably more time and certainly more money to achieve the same expansion. I will certainly recommend MyCra to clients needing this service in the future. Hi, my name is Michele Fowler. I am a broker in Victoria. A client approached to increase his mortgage as he needed some money urgently. When I processed his loan it was declined due to a default on his credit rating. The client told me he was unaware of the default and on investigation I found out that there was problem caused between his bank and the company involved. Unfortunately, the company had listed him as a bad credit rating. I introduced the client to MYCRA, and they did everything to get his bad credit rating removed within a few weeks. Now my client has managed to get the increase in his mortgage all ok and he no longer has a bad credit rating. Anthony, thanks for your time on the phone today discussing the new and exciting venture that Asset Financial and GBM Finance are undertaking for future Commercial work. As discussed, Asset Financial operate in the heart of Surfers Paradise and have a very strong referral network with several larger Agents. Being the very area that it is, the 'high and lows' of the Gold Coast market can be tough and Lia informs me that she has several Clients already that could utilise MyCra.com [www.mycra.com.au] services. I have advised the success story of 'Bruce and Helen XXXXX' and your confirmation that more removals than ever are being completed just recently is very encouraging. I believe we have one matter that will require some application and repair now in the name of XXXXX, but I will let Lia discuss the requirement MyCra have with you direct as she has the file information. I have mentioned the $200 referral per CRA repair request and this is something that if Lia generates and monitors progress the entire 100% referral is for Lia direct in my eyes. Thanks Lia and Anthony. Lia you will find Anthony highly professional and can even put up with my and my occasional 'spack attacks' and frustrations, and just does not let anything rattle the cage. It's a great service and I wholeheartedly can recommend them for credit repair.